Shipping: Standard Continental USA Ground Shipping Included. TRUCK LOAD CLEARANCE SALE - $999 Ground USA Curbside shipping is included. Chairs are in the New Factory Box and no longer have the Factory Warranty. These include a 90 Day mechanical Parts Only Warranty. Any Cosmetic Leather peeling or flaking is not covered. SALE - $2699 Ground USA Curbside shipping is included in the price. Generous cushions for a soft touch and furniture springs for superior comfort seating. Bonded Leather can peel or flake especially when exposed to moisture or sweat. Multi-patented construction throughout means the Perfect Chair� is one of a kind. Extra wide leg rest provides maximum comfort. Exclusive guide rail system ensures smooth power Electric recline motion. 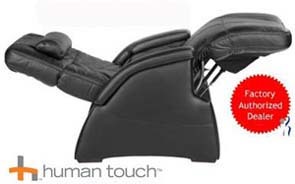 Optional Massage and Heat offered on the PC-086 Perfect Chair. Available in Black, Cashew & Red Bonded leather, Premium Genuine Leather or Vinyl. SofHyde is a leather-like polyurethane material that does not include any animal hide or leather products. Well-padded for comfort and durability. The neutral body posture chaise position elevates your legs above your heart, relieving weight from your spine. Doctors recommend this as the healthiest way to sit. 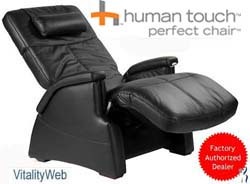 The zero-gravity recline of the Perfect Chair� offers a unique experience. As your feet rise above your heart, pressure is removed from your spine, allowing absolute surrender to deep relaxation. 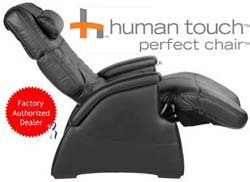 Ergonomically shaped, articulating head rest cushion cradles the neck for perfect support. 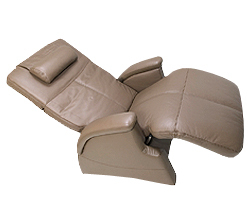 Electric recline with Easy-to-use armrest control system allows precise position control and is extremely reliable. Factory Warranty has expired. Only a 90 day Factory Parts warranty for mechanical issues is included. No Cosmetic Issues. Ground USA Curbside shipping is included in the price. Chair delivery, setup and box removal included in San Diego. Reclined Clearance Required (distance to wall) is 18"
Shipping Box Dimensions: 65 x 36 x 29"
No longer have the Factory Warranty. 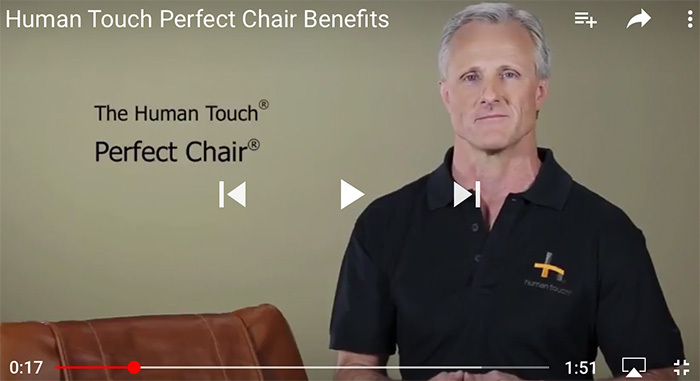 The PC-085 and PC-086 Perfect Chairs no longer have the Factory Warranty. These are sold with a 90 Day Parts warranty for mechanical issues only. No cosmetic warranty is offered for any peeling or flaking of the Bonded leather.